The Basics: What is Internet TV? Internet television (Internet TV) is the process of broadcasting televised content to end user computing devices (like your phones, laptops, smart TVs, etc.) over the Internet. It is like a digital distribution of generally available television content, such as TV shows, live sports, as streaming video delivered over the Internet. From that explanation, you can say Internet television is an over-the-top (OTT) technology. So, internet TV makes it possible to view the same television channels on any Internet-enabled device rather than over-the-air aerial systems, satellite, cable, antenna or other conventional televising technologies. Internet Television (ITV) and Internet Protocol Television (IPTV) generally referred to as Web television or Streaming television are not exactly the same. However, IPTV is usually not available over the Internet. It’s more like a replacement for cable TV typically offered by the same carriers and with similar offers, for the same fees. Internet TV, on the other hand, is available online and is more likely to be free depending on the provider. 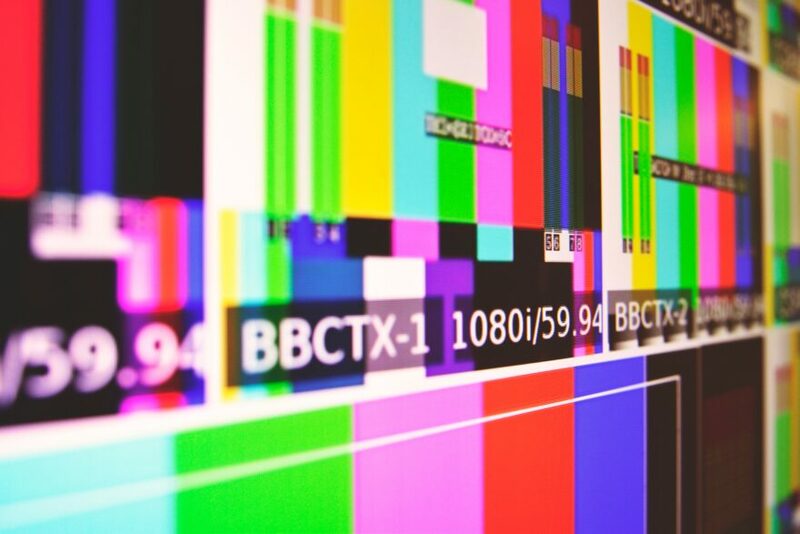 The major difference between ITV and IPTV is that Internet Protocol TV is distributed over proprietary networks while Internet TV is available anywhere a broadband connection exists. So, Internet TV options include Web-based shows, video on demand (VOD), streaming video and regular television shows hosted on the channel’s websites, live sports, and virtually all the conventional cable or satellite television offers. Internet TV delivers typically the same televised content as live streaming content on end-user devices and you can view them through websites, web applications and mobile applications. Supported device like your phones, computers, and smart TVs directly connect to a back-end facility where televised content is converted into small bits of data called packets or packages and sent over the network through various gateways to your device. Your device then assembles these packets and decodes the content giving you what you asked for on your device browser or application. With a good Internet connection and a supported device, the Internet TV experience is the same with normal cable/dish television broadcasting. In 1997, Netflix was founded by Reed Hastings and started as a DVD-by-mail service with no late fees. In 2007, it expanded to offering streaming media, which has become its core business till now. They offer 3 plans; the Basic, Standard and Premium plans. With the Basic plan for $7.99 a month, you can watch Netflix in standard definition on one device at a time. The Standard plan for $10.99 per month features high definition videos and one more device for simultaneous streaming. Lastly, the Premium plan for $13.99 per month, provides ultra-high definition, and lets you stream on up to four screens simultaneously. Netflix is available worldwide except in Mainland China, Syria, North Korea, and Crimea and as of April 2018, it has 125 million members worldwide with over 56.71 million in the US. According to ComScore, Netflix is the most popular and most watched streaming TV service in the US with subscribers from cord cutting homes watching up to 38 hours of video every month and 27 hours of video every month for non-cord cutting homes. Hulu owned by Hulu LLC was announced in March 2006 and was founded by six key executives – Bruce Campbell, Peter Chernin, JB Perrette, Michael Lang, Beth Comstock and Jason Kilar (who was later named the CEO in June 2006). It started out in 2008 as a syndication network for its owners (NBC Universal) and expanded quickly to become one of the most popular internet TV service providers. With Hulu, you can find programs from most of the major television networks (except CBS and the CW) shortly after they aired. Most especially you can enjoy instant streaming of both current and past episodes of many television series from its owners’ respective television networks and other content partners. The basic plan gives you access to the Hulu Streaming Library for $7.99 a month. For $39.99 a month, you can get the Hulu With Live TV plan, which includes more than 50 live and on-demand channels and allows you to stream on two screens simultaneously. If you have the Hulu with Live TV plan, you can have access to add-ons like enhanced cloud DVR, unlimited screens, and no commercials for an additional cost of $14.99 per month. Behind Netflix, Hulu is the second most watched streaming service in the US according to ComScore with 34 hours per month on average from cord cutting homes and surpassing Netflix with 30 hours per month from non-cord cutting homes. DirecTV Now simply known as DTV is owned by AT&T and was launched on November 30, 2016. Although it started later than many of its competitors, it has caught up quickly reaching up to 1.8 million subscribers as at July 2018. DirecTV Now offers a sweet and similar interface to cable or satellite but with more channels including local channels (depending on where you live) compared to other internet TV service providers. The data used in streaming the contents is zero-rated only for AT&T Wireless customers while on the AT&T network and T-Mobile US customers having the carrier’s “Binge On” feature enabled. DirecTV Now did not launch with a cloud DVR despite their competitors having theirs but has caught up with already with its own True Cloud DVR. They offer four packages and an additional Spanish language package. With the “Live a Little” package for $40 per month you have access to more than 65 channels, while “Just Right” is next in line at $55 per month for over 85 channels. “Go Big” package offers more than 105 channels for $65 per month, while the “Gotta Have It” package tops out at $75 per month for over 125 channels. The Spanish package “Todo y Más” for $45 per month, offers over 50 Spanish language channels and more than 40 English language channels. Also, add-on packages are available to supplement the base packages like HBO for $5 per month (includes HBO, HBO Family, HBO Latino, HBO GO access, and on-demand content), Cinemax for $5 per month (includes Cinemax, MAX GO access, and on-demand content), Showtime for $8 per month (includes Showtime, Showtime On Demand), Starz for $8 per month (includes Starz, Starz Encore, Starz Kids & Family, Starz On Demand), DirecTV Now Deportes for $5 per month (includes TyC Sports, Univision Deportes, Fox Deportes, ESPN Deportes), and DirecTV Now Español (includes Univision, Discovery Channel Español, Estrella TV, Cinelatino). Just like Sling TV, DirecTV Now has a list of supported devices which includes Amazon Fire TV, Apple TV (4th Generation or newer), Chromecast, Roku, Android mobile devices, Chromecast (iOS and Android), iOS mobile devices, Google Chrome 50+ browsers, Safari 8+ browsers. If you’re a sports fan, DirecTV now is the best option for your live sports in HD. Amazon Prime video is owned and operated by Amazon. It was launched on September 7, 2006 and started out with the name Amazon Unbox and was then renamed as Amazon Instant Video on Demand after the development of Prime Video membership. It does not just offer television series and films for rent and purchase but also gives you access to a selection of Amazon Studios original contents. This service has a surprisingly large collection of titles including series like Transparent, Alpha House and Mozart in the Jungle among others but you can only stream on up to two devices simultaneously. If you already have an Amazon Prime subscription, you can enjoy Prime video with no extra fees. Amazon Prime Video is included for Prime members but If you aren’t an Amazon Prime customer, you can subscribe to the video service alone for just $8.99 per month. On December 14, 2016, Amazon Video launched worldwide (except for countries like Mainland China, Cuba, Iran, North Korea, Syria) increasing its range beyond US, UK, Germany, Austria, and Japan. PlayStation Vue simply known as PS Vue is owned by Sony. It was launched on March 18, 2015 providing a combination of live TV, on-demand videos and a cloud-based DVR. So, you can stream television programs, movies, and live sports directly to your PlayStation console or any other supported device like your smart TVs, digital media players and mobile apps. For $39.99 per month, you get over 40 popular channels of live TV with the Access plan. Next in line is the Core plan, which adds sports to the mix for $44.99 per month. Elite plan for $54.99 per month throws in movies, and last, the most expensive subscription is the Ultra plan for $74.99 per month, which includes all the above plus premium networks like HBO and Showtime, totaling over 90 networks with local broadcasts included. You also have the option of purchasing channel add-ons by yourself (not tied to any subscription) and stream on up to five devices simultaneously.